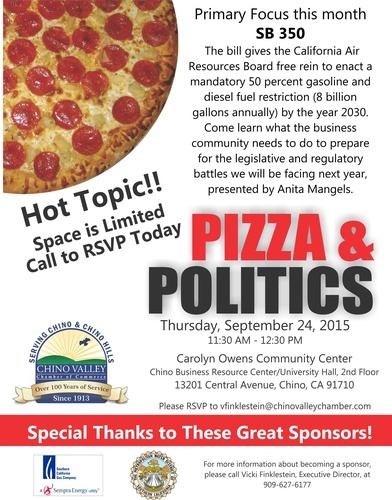 Come join us for FREE pizza and a chance to interact with legislators, legislative representatives, and utility company representatives about topics of interest to your business. The bill gives the California Air Resources Board free rein to enact a mandatory 50 percent gasoline and diesel fuel restriction (8 billion gallons annually) by the year 2030. Come learn what the business community needs to do to prepare for the legislative and regulatory battles we will be facing next year, presented by Anita Mangels. 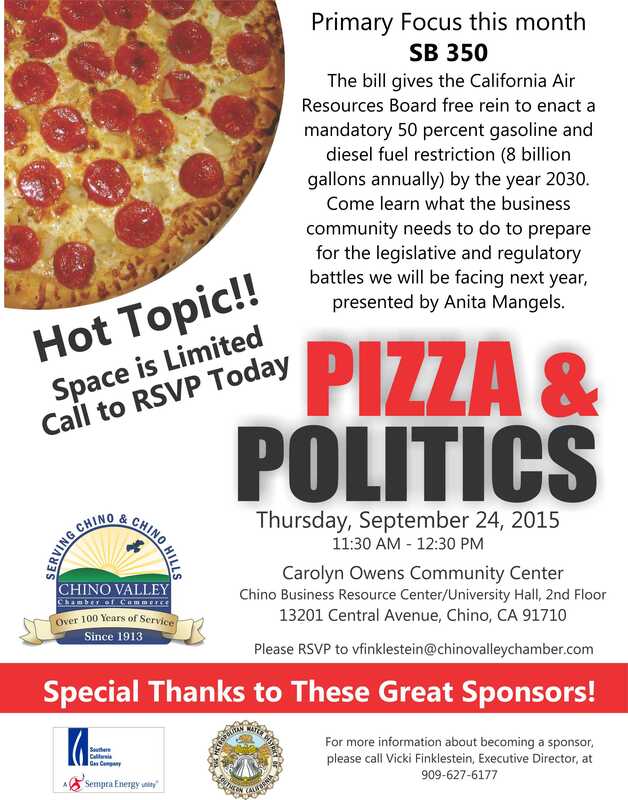 Space is Limited - Call to RSVP Today!